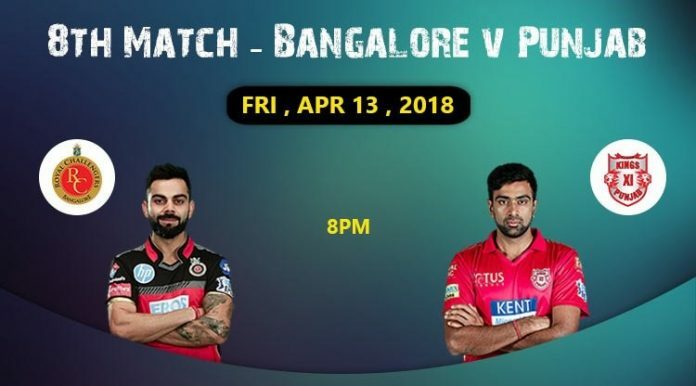 Match number 8 of IPL 2018 will be played between the hosts, Royal Challengers Bangalore and Kings XI Punjab. While RCB will look forward to register their first win, they will face a team that comes pumped up after their previous victory over Delhi Daredevils. It is interesting to know that, despite RCB always having one of the strongest batting line ups it is KXIP that have dominated RCB on most occasions. Across all seasons these two teams have clashed 20 times and KXIP came out victorious in 12 out of them. 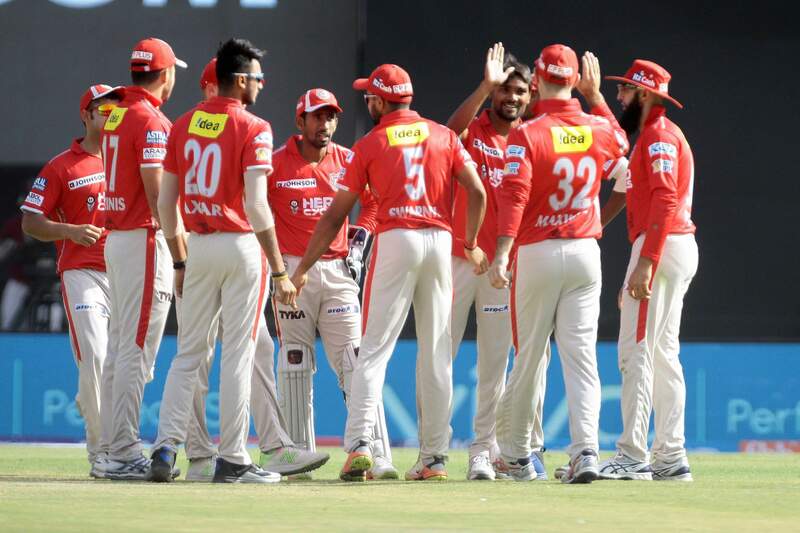 In last 11 matches between these two teams KXIP came out as winners 8 times. 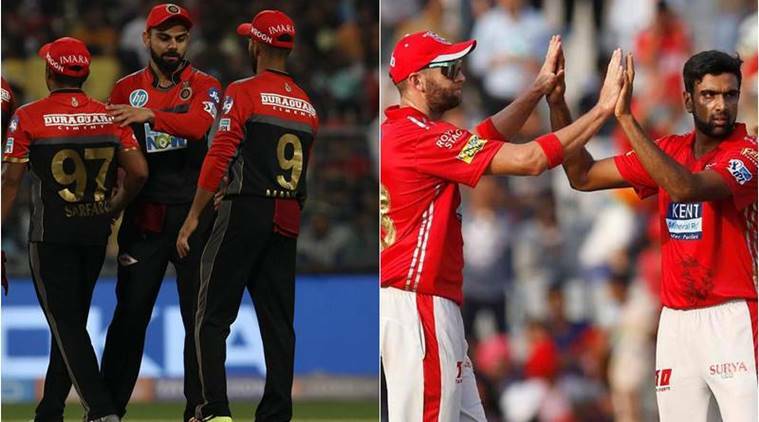 While teams love playing and performing on their home grounds, RCB has never been able to become a consistent performer on their home ground. The hosts have played 6 matches against KXIP in Chinnaswamy Stadium but they managed to win only 2 of them. It won’t be wrong to say that Royal Challengers Bangalore has an uphill task playing against KXIP. KXIP, headed by their new captain R Ashwin, will look to continue their winning momentum with a rejuvenated team. The master blaster Chris Gayle may open the innings given the fact that he is aware of the local conditions in Bangalore. Aaron Finch may get a chance to play in this match as he was unavailable for the last one against Delhi Daredevils. Apart from Gayle and Finch, the Punjab team obviously has KL Rahul who did the magic with fastest half century during the last match along with Karun Nair who also scored a handsome half century. Clearly KXIP has a very deep batting line up, which is also performing. It would be very interesting to watch what Virat Kohli does in today’s match to change things around for Royal Challengers Bangalore.